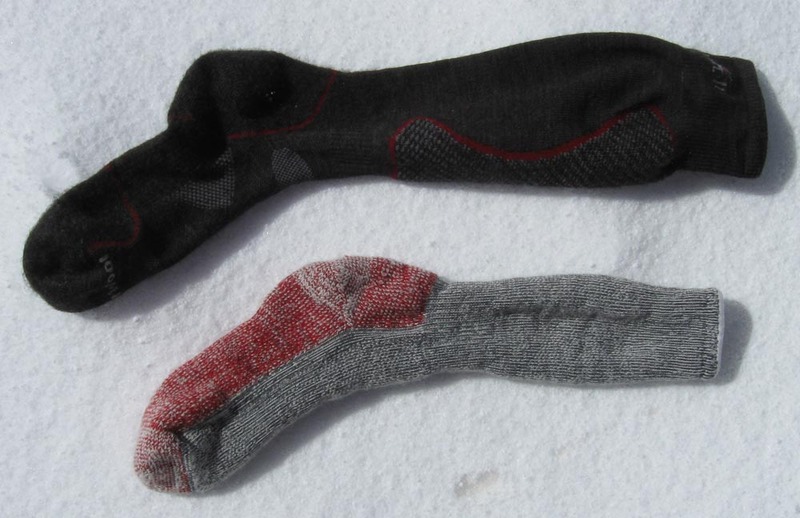 When I look in my sock drawer I see the last decade of expeditions in Smartwool socks. Alaska, Europe, Nepal, Tibet and Pakistan – they are all the super thick mountaineering style wool in ascending order of ‘worn-out-ness’. I’m reminded of the relationships that have developed over that time – professional and personal. Everything lined up nicely in the preparation phase. I made an effective one page brochure outlining the trip and stumbled onto the corny title – Fourteen 14ers. Trey Cook (Chamonixinsider.com) flew to Moab to help get me acquainted in the ‘social networking’ world of Facebook, Twitter, blogs and websites. I plugged into his program and things really took off. I searched out my favorite gear manufacturers, presented a plausible marketing trip , and everyone responded positively. 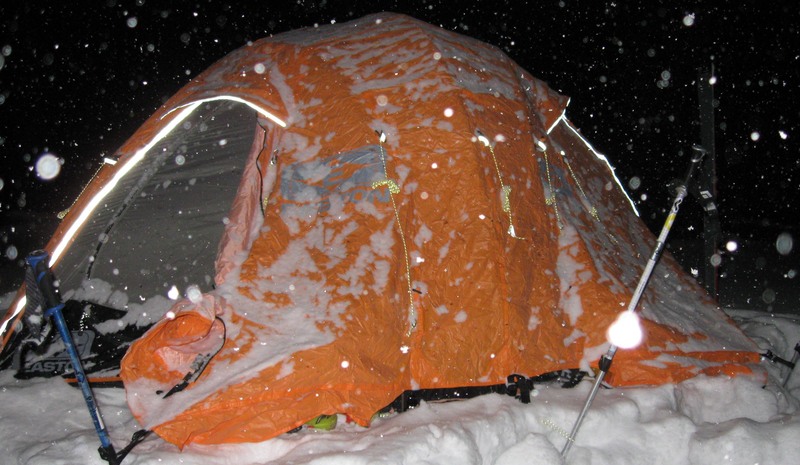 As our departure date neared we ran into some personal/ family emergencies and challenging snow conditions. At this point I had the better part of 200 hours invested in the preparation and planning of this trip. My design and development responsibilities were scheduled to allow 2 weeks off and I had been carrying 50 lbs of bird seed through the LaSals for 6 weeks. We postponed the start by 2 weeks. I have had several trips where every single thing went right – where you simply can’t do wrong. This was the yin to that yang. Everything (except gear – REALLY) from my health to team dynamics was compromised and we were on a trip needing more than that to complete. Not so much that each day was so ‘extreme’ but the accumulation of days and decisions had significance consequence. I was attached to this trip on every level and it was extremely difficult to let it go. Even today I am troubled by the sequence of events and how ineffective I was to salvage it. Since my return Brian and Trey, both team mates on K2 who have seen me at my best and worst , have helped me talk my way through it but my delicate ego still smarts and wants redemption. In our dynamic world I go to the back country for clarity. 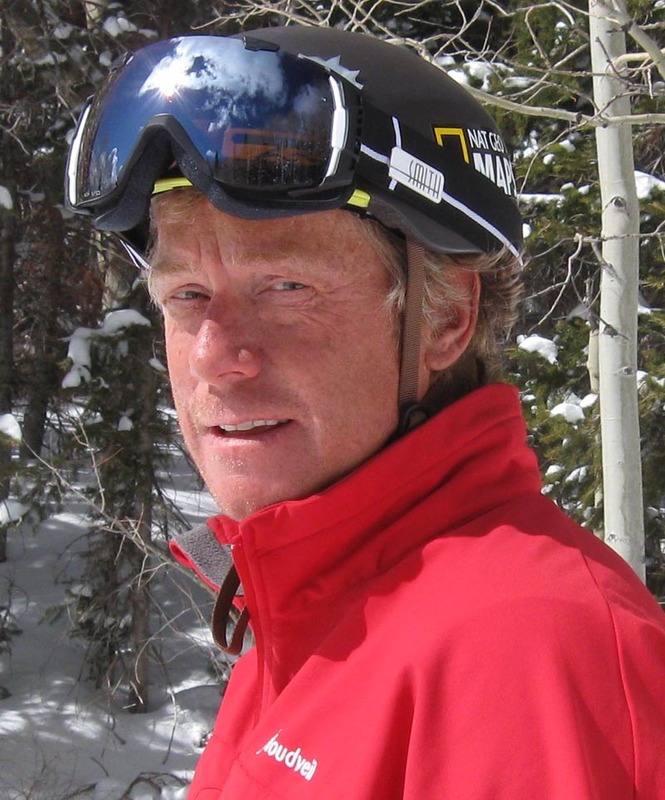 It is difficult to understand my experience in the mountains of central Colorado because things didn’t go the way I wanted. This week I had a glimpse of my skewed perspective. I take my health for granted, even with an occasional set back. I have under-estimated the opportunity to try. Most of the sponsorship of this trip is a result of personal relationships and friendships. Most of those are based less on my physical or ‘extreme’ endeavours and more on the creativity of the trip and that I am still going in my late 40s. The sponsorship on this trip is not based on the ability to get free gear or doing extraordinary feats but decades of personal relationships and trust. For years I shied away from promotion and sponsorship because it could shade judgment in the field. This year, in an effort to promote Outdoorlabs, my design and development company, I went more the route of blatant self-promotion. There were times it made me uncomfortable and others when it was fun. National Geographic Maps www.natgeomaps.com For years I have used a GPS and National Geographic TOPO software to record and plan my trips into the Moab deserts. I mark everything from Anasazi sites to rock formations on my personal maps with these amazing tools. I introduced myself to Christy at the NGMaps booth (Outdoor Retailer Show), flashed my brochure and told her how much I liked their product. She introduced me to Kristi in marketing and we formulated a plan to use their software to plan our 14er route. 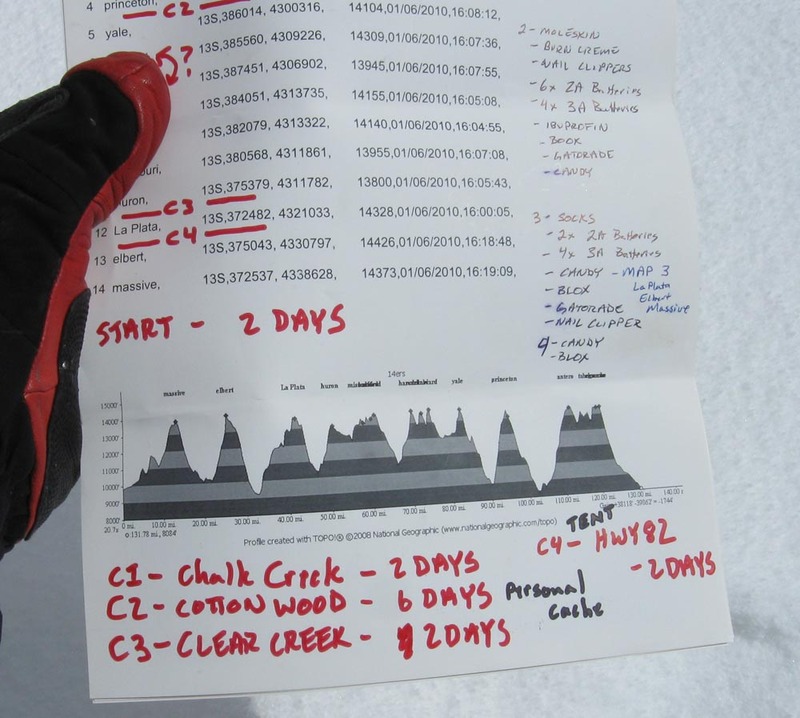 Each team member got a copy of their Colorado 14ers map software so we could discuss route preparations on the phone with the software on our respective computers. 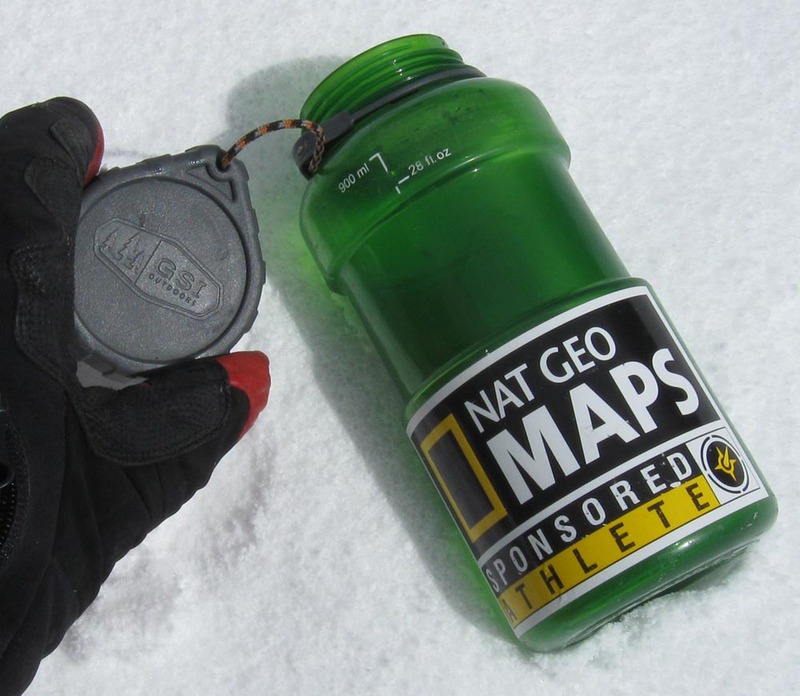 It provided distance, elevation gain and loss and trails. 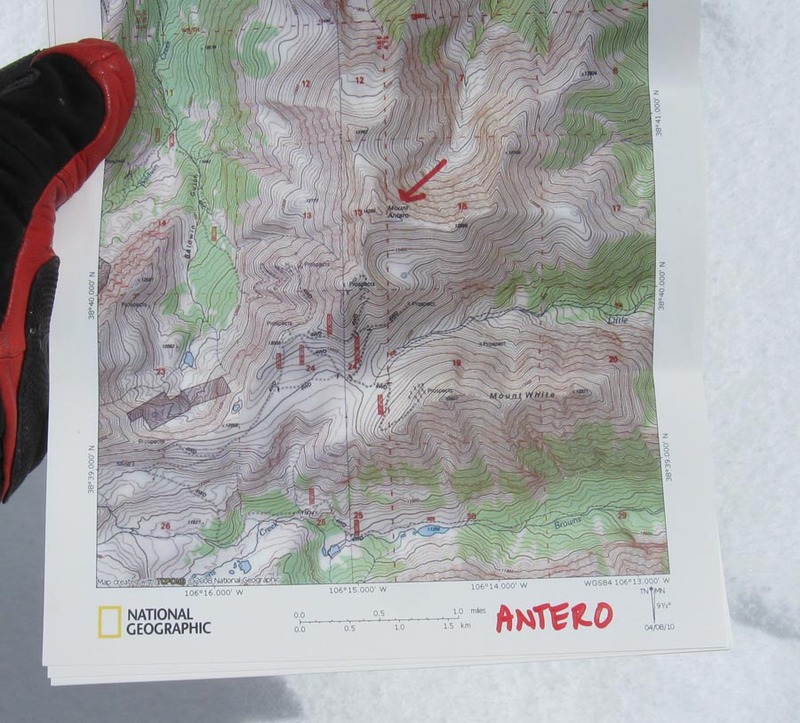 In the field we used the National Geographic – Trails Illustrated Maps of the area and custom maps of tricky areas printed on waterproof ‘Adventure Paper’ from the software. I used the back of these maps as my trip journal. Thanks Kris, Christy, Mike and Dan. 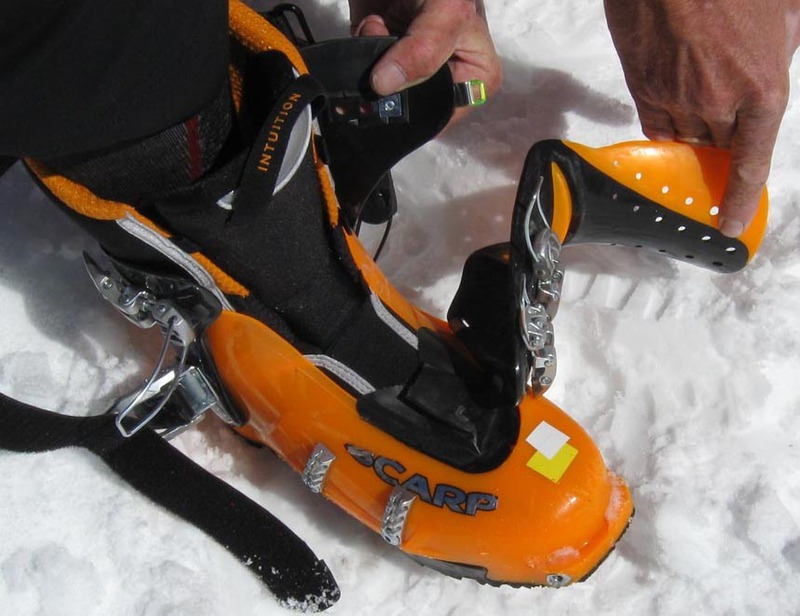 SCARPA www.scarpa.com provided the new super-lightweight 4 buckle Maestrale rando boot – available for the 2010/11 season. 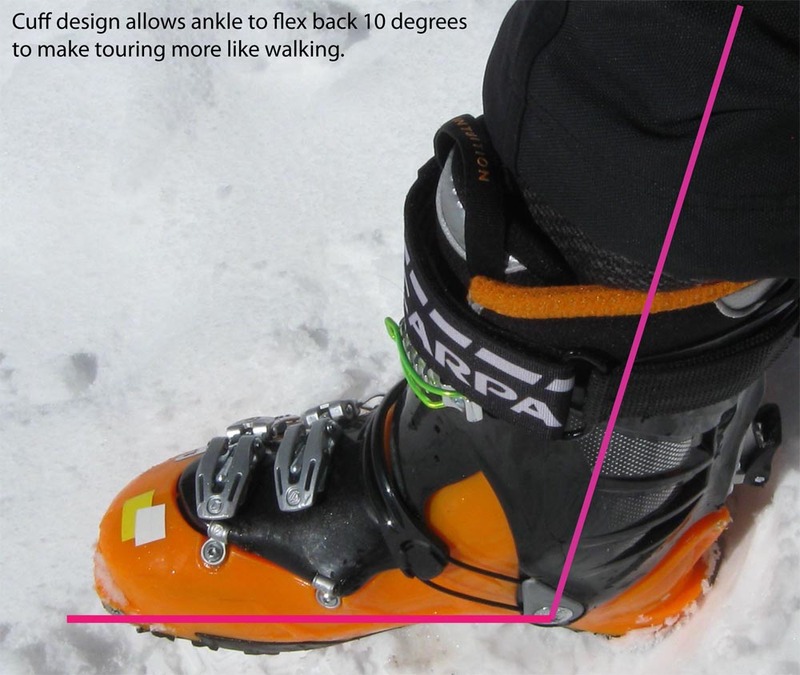 It combines 100+ downhill stiffness with a wide range of ankle movement in tour mode. It is also arguably (we’ll see in production) the lightest 4-buckle boot available for 2010/11. My size 28 shell weights 1285 grams each plus an intuition liner at 217 grams for a total of 1502 grams per foot. Two things stood out during the 12 days I used it training, on the trip and a few days in the LaSals since. 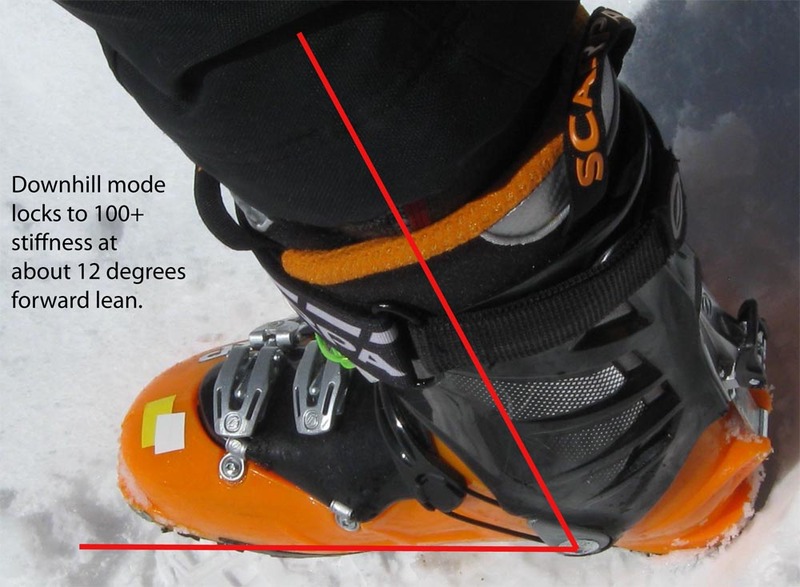 First is that that it skis downhill like an alpine boot AND when switched to tour it flexes as well as the SCARPA F1. 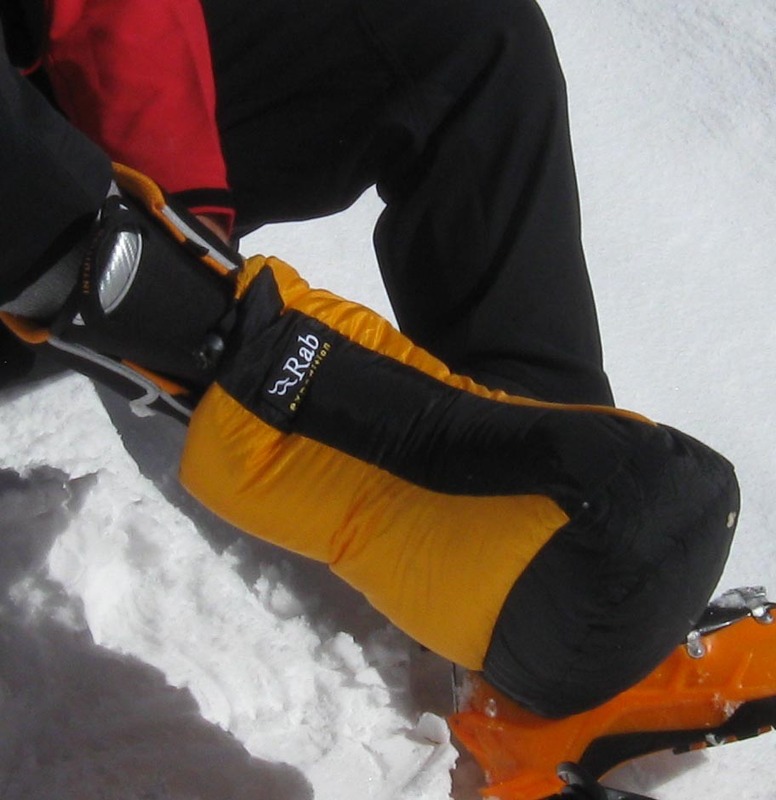 The back of the cuff, where other boots prevent too much backward flex, is shaped to allow the leg to flex back from foot in a normal walking motion. 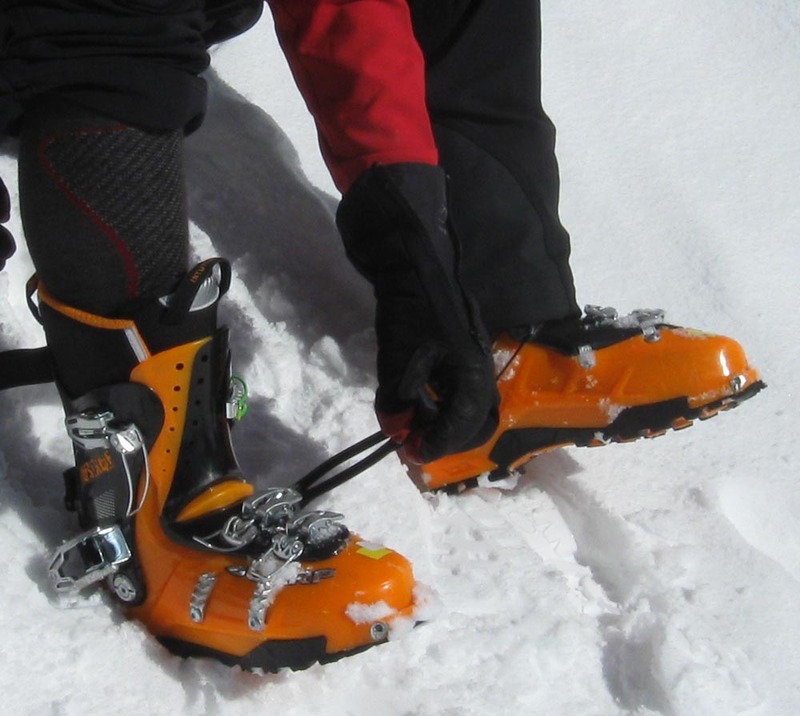 Second is the tongue hinges out of the way, even when the plastic shell is frozen from a night out, to allow foot to easily – yes, EASILY – insert my foot into the boot in cold weather. Thanks Kim, Massimo and Davide. SMITH www.smithoptics.com provided each of us an extremely good pair of I/O goggles and a lightweight MAZE helmet. The goggles paired nicely with the helmet and securely stowed on the Maze when not needed. The helmet had removable insulated ear flaps that kept the helmet cool even on warm days. 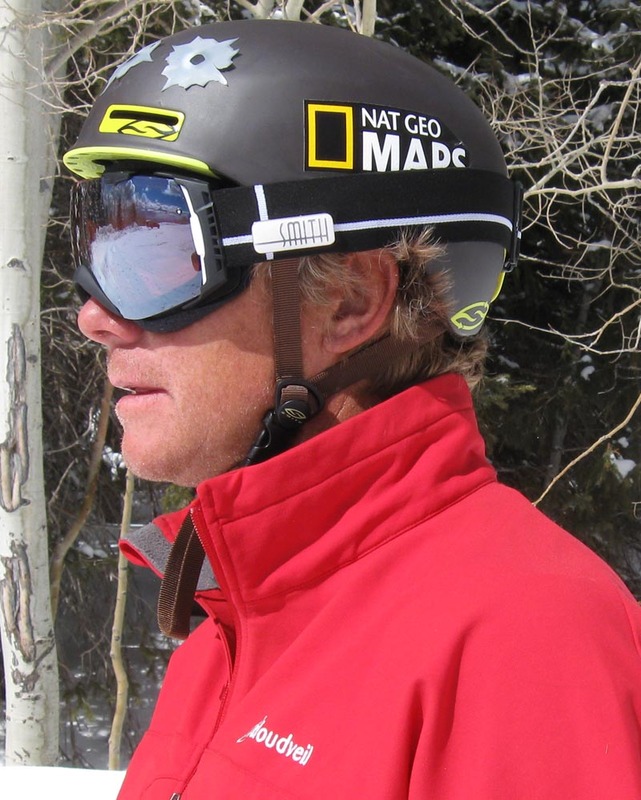 I was able to stow my goggles in my helmet into the lid of my Black Diamond Quantum Pack lid. Easton www.eastonmountainproducts.com provided the XI2 Expedition Tent. Extremely roomy and lightweight because if its Carbon FX poles. I especially like that it can be set up from one side, by one person, fast and easily. 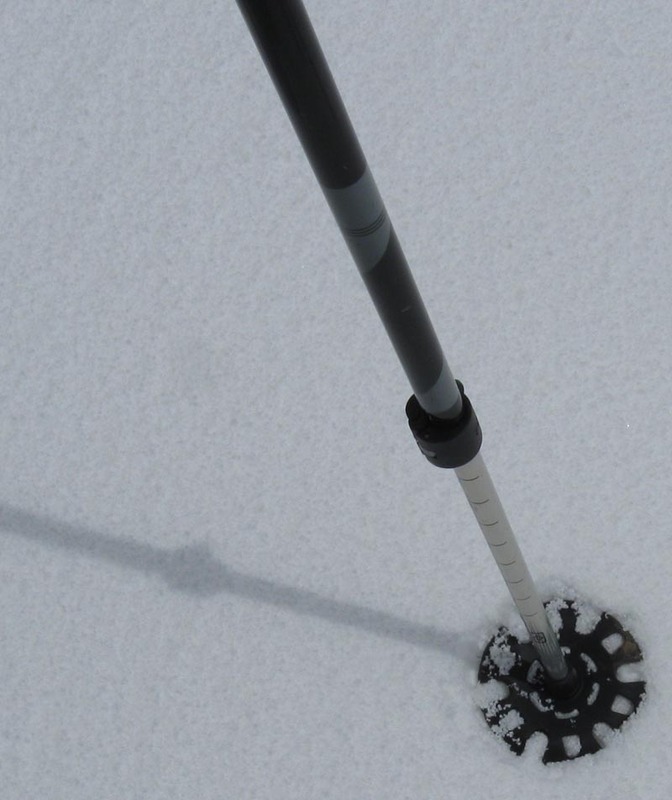 The poles are all color coded to the pole sleeves to make it easy to figure out – even in wind and low light. 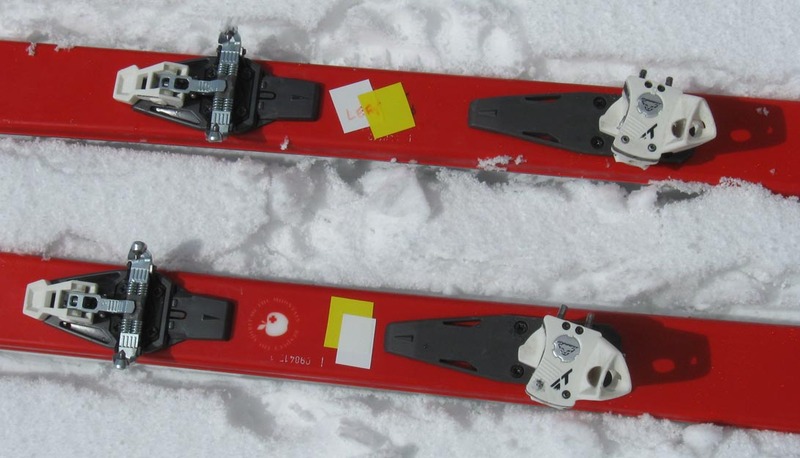 We also used CTR 60 combination carbon/ aluminum poles. 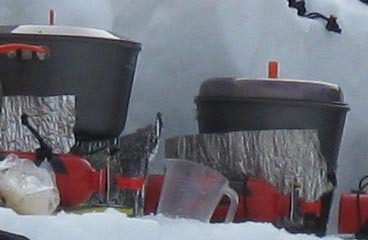 The lower aluminum section is much more resistent to breaking in scree and the upper carbon sections (2) are both lightweight and stiff. 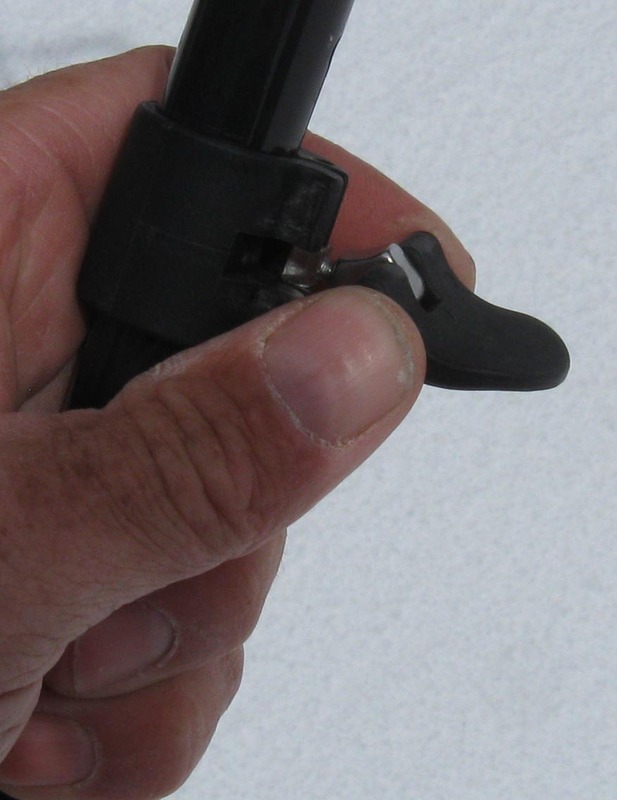 My favorite feature is the Rock-Lock clamp that is completely adjustable with gloves – no screw driver needed. SMARTWOOL www.smartwool.com as I mentioned before has been a part of my quiver for a while. 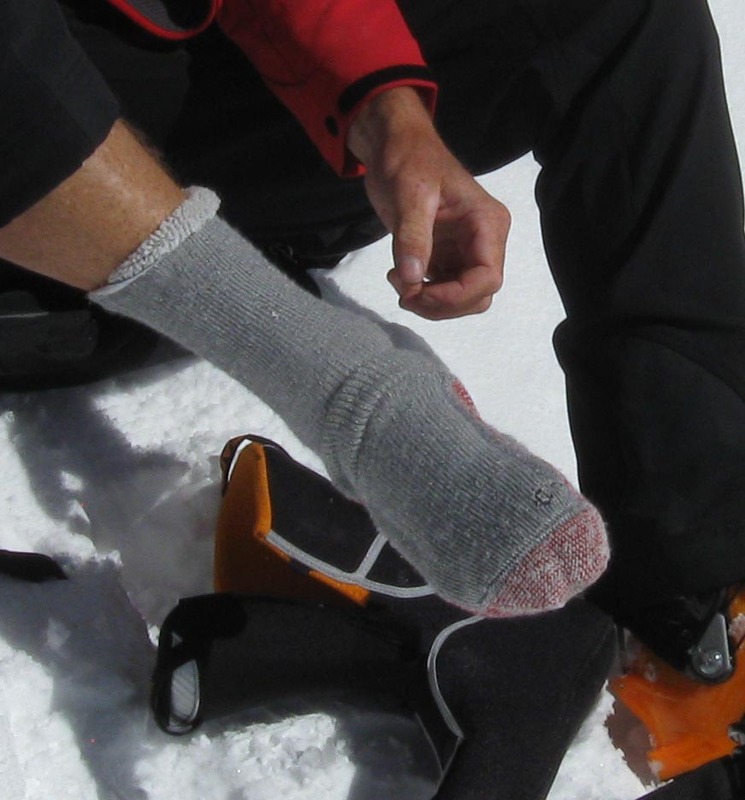 They provided us with 100% Merino base layer – zip-t top and bottom, PhD ski socks and the super-warm Mountaineering Extra for camp. 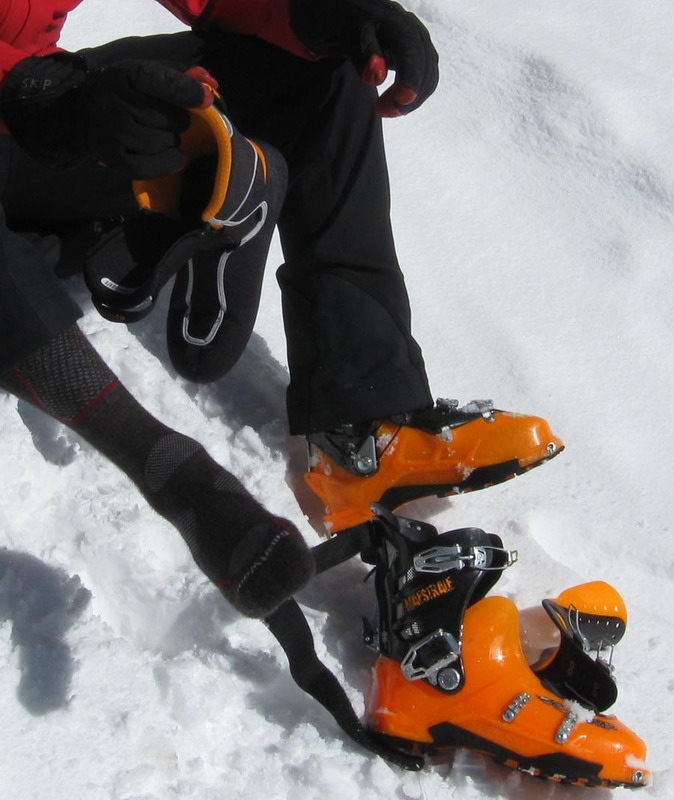 Wool has an amazing ability to not only have a great warmth for weight ration but it is categorically the best product I have ever worn for mitigating the effects of over-heating – both of which are common in Colorado. I have a ritual for keeping my feet warm at camp….. Remove boot shell and separate liner. 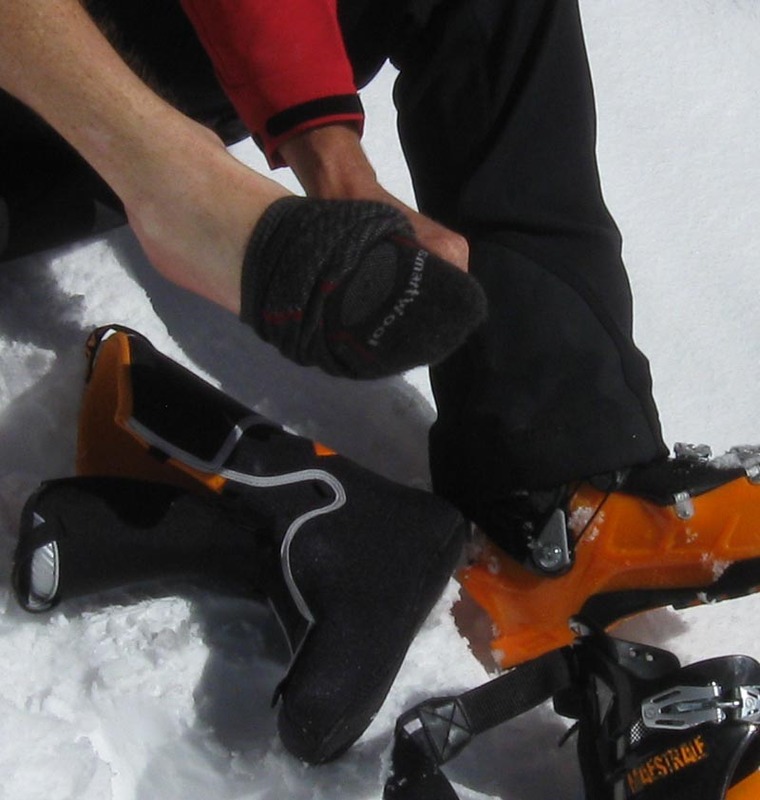 Pull off damp ski sock and put it over shoulder, inside jacket, to dry. Yes, wool doesn’t retain odor but it does not remove the stink from my foot!! Pull on dry camp sock. Pull soggy liner over dry camp sock and pull over-sized bootie over liner. 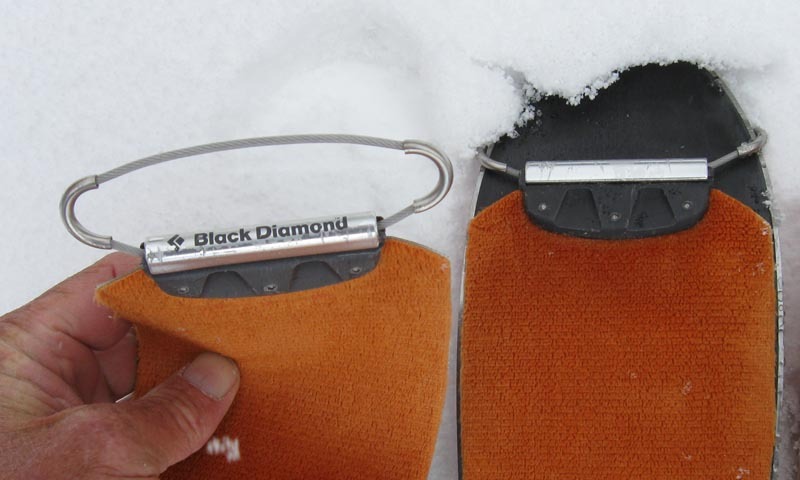 Finish by covering the whole thing with waterproof custom-made bootie shells to keep feet dry. By morning feet, liners and socks are usually dry. 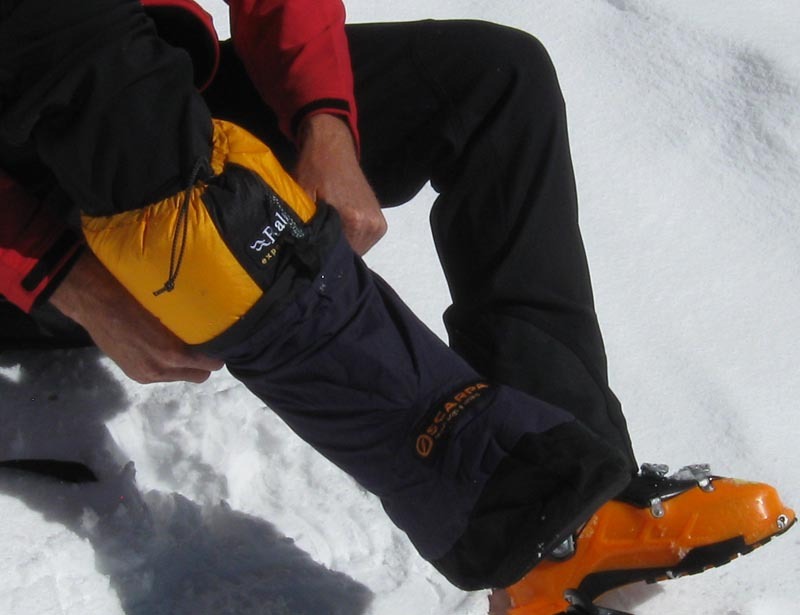 Add down pants in bitter cold. GSI Outdoors www.gsioutdoors.com provided two 1 liter Infinity water bottles and the well thought-out Pinnacle Base Camp nesting cook set. Everyone (except me) replaced the grippy on the bottle with several wraps of emergency duct tape. 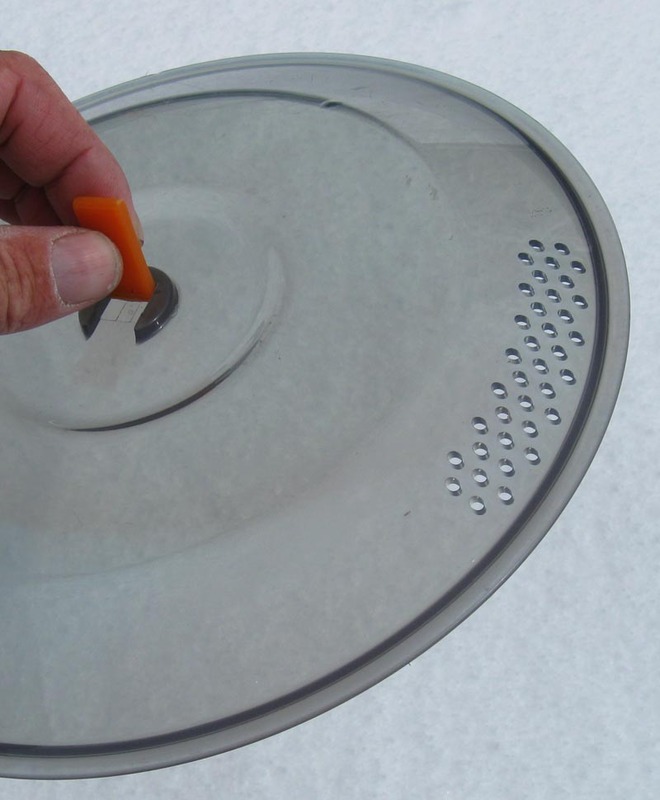 The string-on-lid proved to be the friendliest lid attachment I’ve used and the notch on the lid makes it easy to remove even if it is a bit frozen. The Pinnacle cook set nestled together well to take little space in our packs. 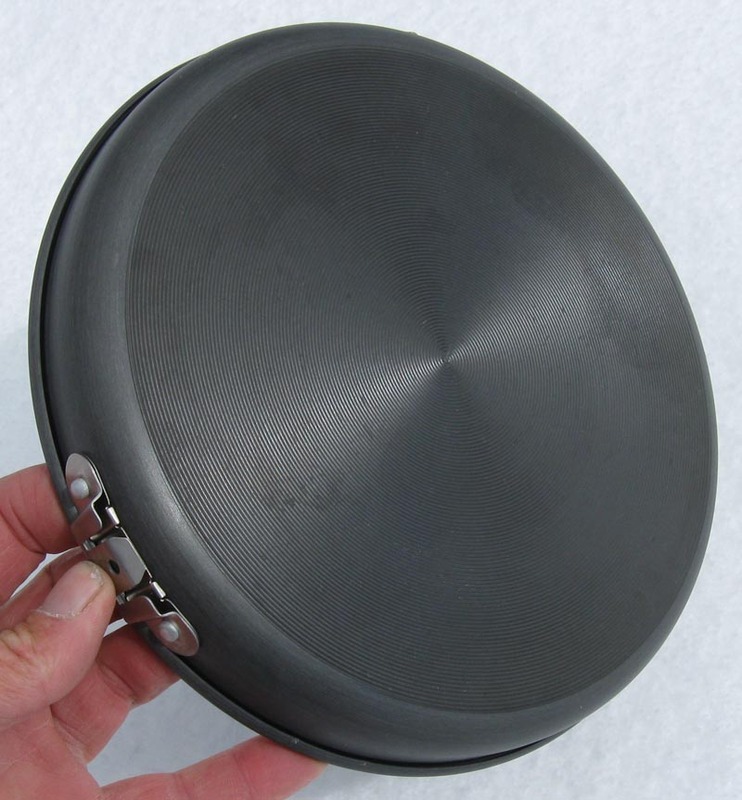 The grooves on the bottom were key to keep the pots from slipping off the stoves if they were not level. Each plastic lid had a small handle that folded out-of-the-way and was convenient to use when needed. They also had built-in strainers for draining pasta water. 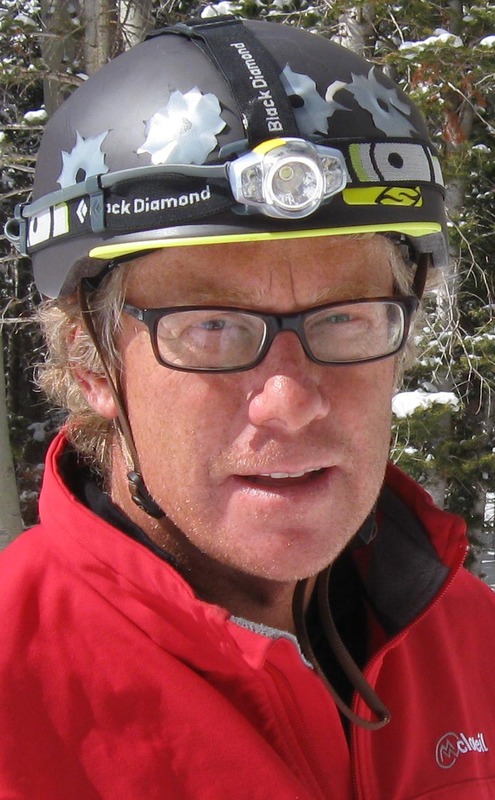 Black Diamond Equipment www.bdel.com makes the STS Climbing Skin and Icon Headlamp. New STS Skins allowed us to ski steep ascension hard packed snow. In addition to secure traction they did a great job of not collecting snow under foot when moving from wet, warm snow to colder, shaded snow. BD upgraded the front tip loop as the last great improvement on a solid workhorse. The ICON Headlamp provided LOTS of light on the bright setting and lasted forever on the LED setting. It also fits nicely over helmets of all shapes and sizes. I used lithium cells. Thanks Adam, Pieter, Brad, and the crew. Dynafit Bindings www.dynafit.de are light and predictable. 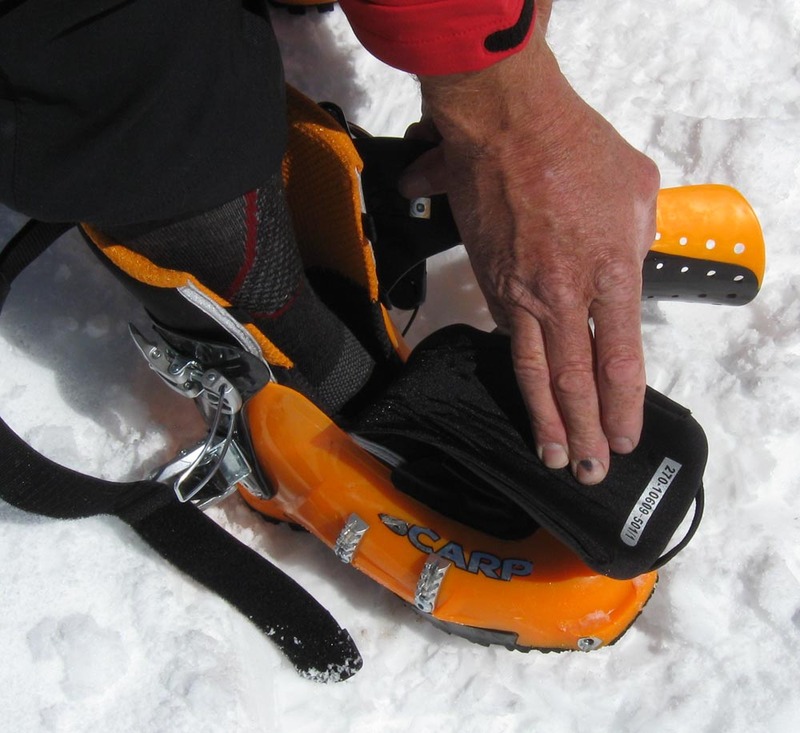 The combination of SCARPA’s toe insert and the LT Vertical binding made for easy entry in lots of snow or steep terrain. My skis and bindings weighted just over 3300 grams. Milt’s Diner – Moab, UT. Finest burgers and root beer floats in town! Thanks BC. Moab Family Medicine – Moab, UT. Great advise, decent pool players and they answer my calls from the Collegiate Range. Thanks Ken, Jonas and staff. Thanks everyone for following along, keep in touch – David.